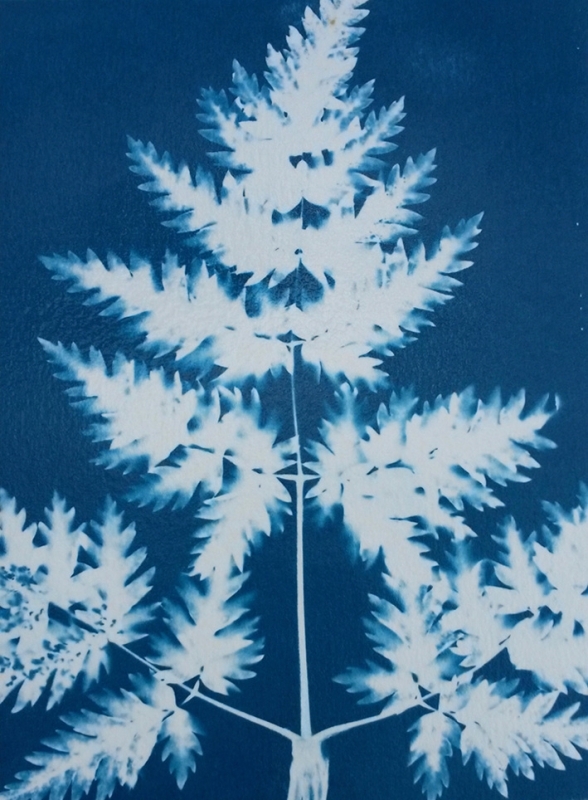 Cyanotype is one of the earliest forms of photographic process, distinctive for its Prussian blue monochrome prints. It dates back to the mid-1800s and was later used as a simple and low-cost way for engineers to create copies of their drawing plans, hence the origin of the term ‘blueprint’. The process involves contact printing with light-sensitive paper, either using photographic negatives, or making photograms of objects and other materials. The process is easy to learn, ideal for experimentation, and can be done at home using daylight. 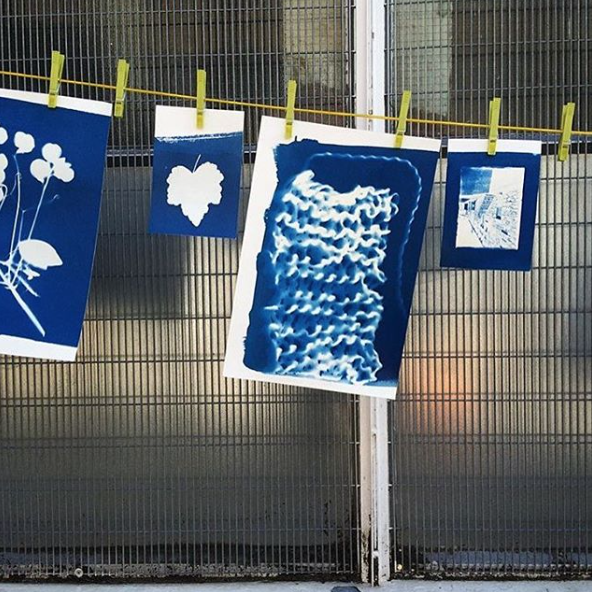 · Get an overview of the cyanotype process. 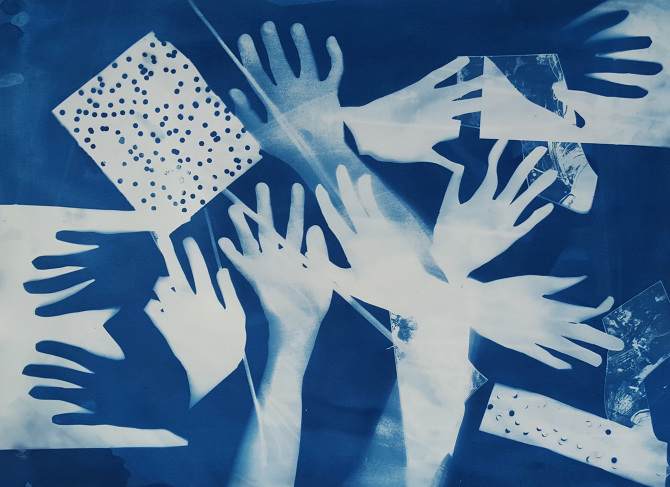 · Learn how to prepare your own light-sensitive cyanotype paper. · Explore a number of alternative sources of ‘negative’ to print with. · Practise exposing and developing the paper to produce prints. · A sense of playful experimentation. · A pair of washing up gloves (optional). · Materials that you would like to make prints of, up to approximately A4 in size. For example, leaves with interesting shapes, semi-transparent materials, ideas for drawings or paper cut-outs to do on the day, or printouts of photographic images on thin printer paper (inverted to make a negative if you want). There will be an opportunity to gather and prepare materials on the day, but please note there will not be time to learn how to use Photoshop or print out digital negatives. · A couple of completed cyanotype prints. · Cyanotype paper that you prepared yourself for further experimentation at home, in a light-proof bag.